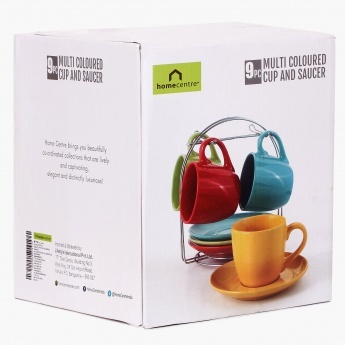 Multi-Colour Cup And Saucer Set- 9 Pcs. 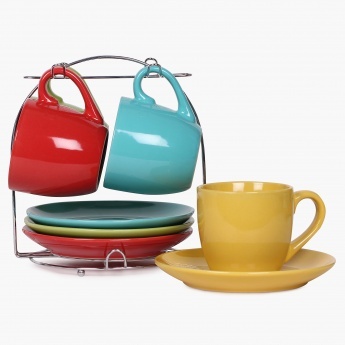 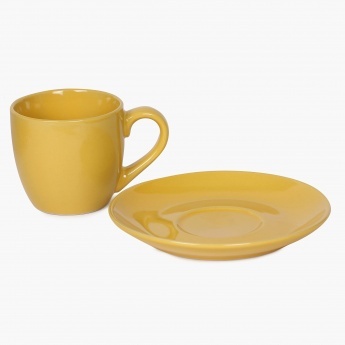 Introducing a beautifully colour coordinated set of Cups and Saucers. 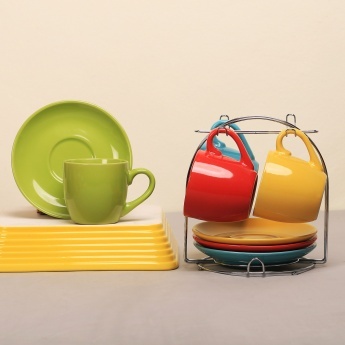 Accompanied with a saucer rest metal stand, they are made of stoneware. 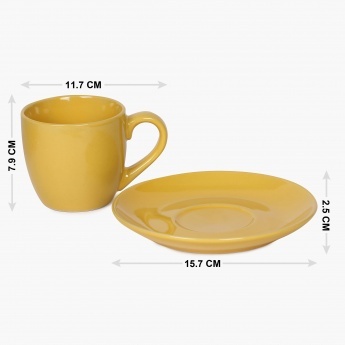 Featuring heat and scratch resistance, they are safe for microwave and dishwasher.